They work great - hubby on installing did caution that the drain area doesn't come with a "neck" on it so he had to plumb a bit differently but work & look great - have them as double sinks in master with solid surface top. 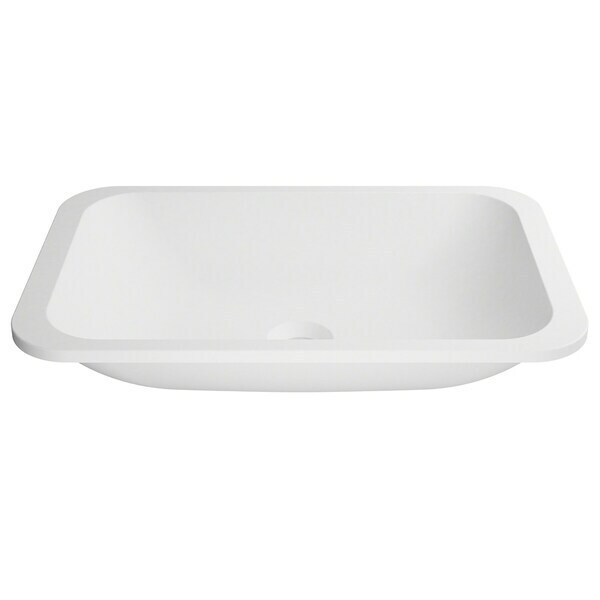 Add a beautiful accent to your bathroom with Natura™ Series sinks in elegant white matte finish. Contemporary silhouettes with slender edges offer a light, airy, and luminous look, giving your bathroom a fresh new appearance with highly desirable modern appeal. Made from unique mineral composite material, these sinks combine the best of nature and technology to provide unparalleled strength and resistance to impact. For added durability, the non-porous sink surface is enhanced with innovative Nano technology, making it easy to clean and impervious to scratches, stains, and water spots. Dimensions 14.2 In. X 21.65 In. X 4.8 In.